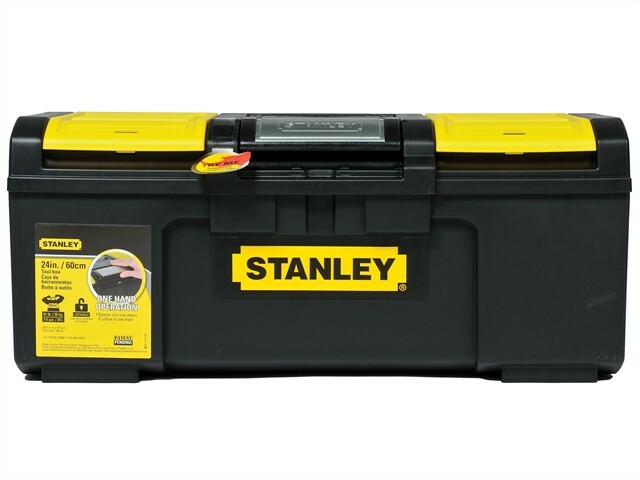 The Stanley One Touch Toolbox has a robust, durable design. The latches are designed for one hand operation, allowing easy opening. The box has a large storage volume, and the removable tray allows extra space for larger tools to be stored underneath. In addition, the toolbox has organisers on the top of the lid to conveniently store components and accessories. The extra wide, soft grip handle ensures comfort, and the padlock holes on the lid allow the box to be locked for added security.